Steelers-Chiefs Recap: Time For The ‘72 Dolphins To Crack Open The Champagne! The Kanas City Chiefs have been unstoppable for the first five weeks of the 2017 NFL season. The Pittsburgh Steelers have been the picture of a functioning yet dysfunctional family. On the outside looking in, there didn’t appear to be any way that the Steelers could compete with the Chiefs. That is the current version of the Steelers couldn’t do it, but if the tough, gritty team fans have come to know and love showed up, it would be a different story. Pittsburgh’s defense stifled the Kansas City offense for most of the day. They didn’t give Alex Smith time to throw. When he did get a throw off, he didn’t have any open targets. Kareem Hunt’s luck wasn’t any better. The holes were not there, and the pursuit was too fast. When the first half ended, the Chiefs had earned four net yards of offense. 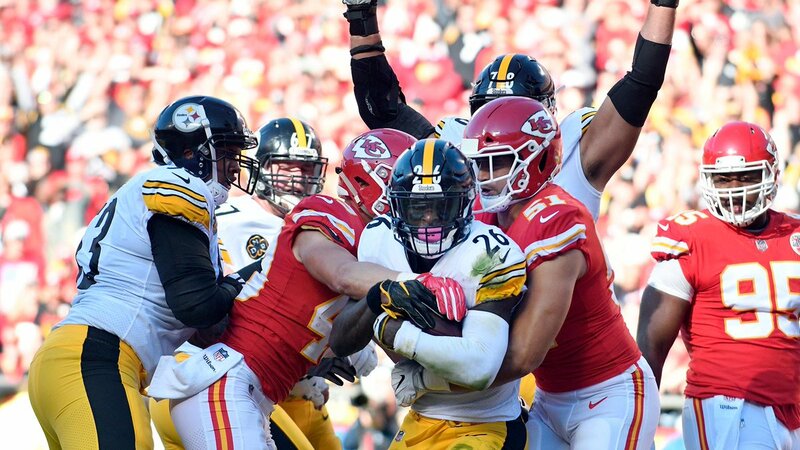 Despite their offensive ineptitude, the Chiefs defense did enough to keep the Steelers from getting too far ahead. At the end of the half, they only trailed the Steelers by nine, 12-3. That would end up being more than enough if the offense couldn’t figure out how to get moving—which they finally did in the fourth quarter. Alex Smith closed the gap to two points with a 57-yard touchdown pass to De’Anthony Thomas. With roughly six minutes left, the room for error was small. They couldn’t afford to let the Steelers get back in the end zone. They needed the defense to force a three and out and get the ball back for the offense. But it just didn’t happen that way. 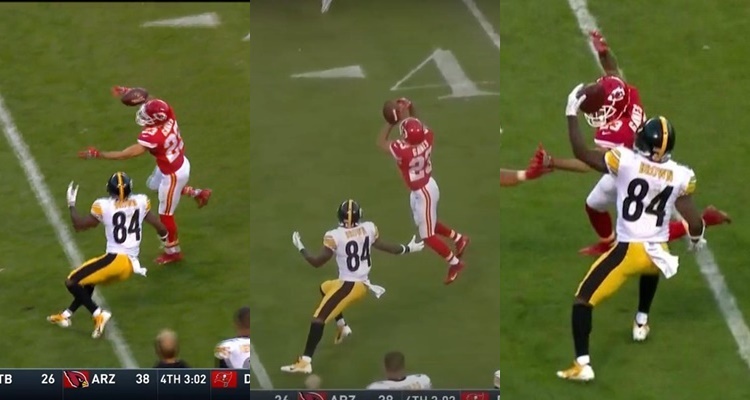 Antonio Brown corralled a pass that had bounced off the hands and head of Chiefs defensive back Phillip Gaines and took it 51-yards for a touchdown and a 19-10 lead for the Steelers. Kansas City added another field goal to close the gap to 19-13 but was unable to complete the comeback. With the win, the Steelers succeed in knocking off the last remaining undefeated team in the NFL. This means the ’72 Miami Dolphins can crack the champagne once again because their record as the only team to go undefeated remains intact. After playing such a brutal, hard-hitting game, it would be nice to have a full week to rest and recover. But the Chiefs will have to face the Oakland Raiders on Thursday Night Football. Pittsburgh will host the Cincinnati Bengals.